Though most of us spent decades in classrooms, rarely do we remember a specific class. Each hour of instruction tends to blend with the others to build a cumulative base of knowledge. Occasionally one hour of instruction will stand out among all the others. One such hour for me was my first year at Luther Seminary in 1977. 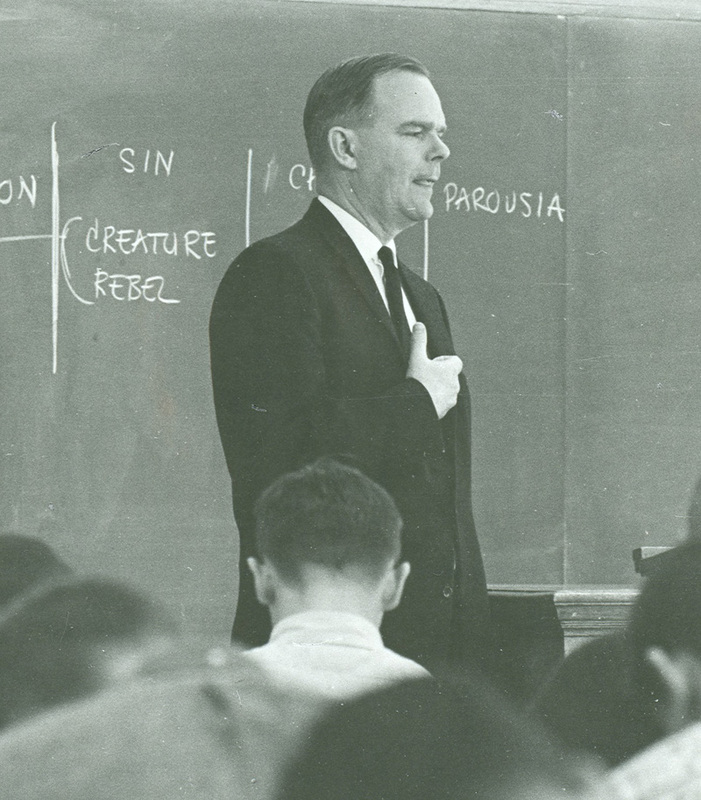 The class was being taught by Dr. Warren Quanbeck, a renown Lutheran theologian. One monring he was leading us through a story in the Gospel of Mark, the healing of the paralytic (Mark 2:1-13). He pointed out the controversy surrounding Jesus’ announcement that the man’s sins were forgiven. The religious scribes thought it was blasphemy for Jesus to claim such authority. Then Dr. Quanbeck asked a question that rocked my understanding of Jesus and forgiveness. Like many Christians, I had grown up with a rather simplistic idea that Jesus “paid” the penalty for my sins by being a sacrifice to the righteousness of God. Often this line of reasoning turns God into a “mean vindictive judge” who demands the death of his only son. Dr.Quanbeck challenged that understanding by pointing out that Jesus was forgiving sin prior to his death just as God had been doing in the Old Testament. God’s business is forgiveness. What put Jesus on the cross was the human inability to accept such gracious mercy and love. Throughout the Gospel of Mark we witness this tension with the religious official over Jesus’ authority. Ultimately they crucify Jesus precisely because he claimed the divine power to forgive sins. It was humanity’s ultimate rejection of God’s grace. But God would not be denied. To demonstrate Jesus’ authority, God raised him from the dead and turn the crucifixion into the very path to eternal life. Dr. Quanbeck died less than two years after that class. But his instruction guided me into a deeper understanding of God’s grace and mercy. Thanks be to God. Do you remember a class, teacher, or moment that rocked your understanding of God? Lord Jesus, thank you for being so gracious towards me. This entry was posted in Bible, crucifixion, grace, Jesus, Lutheran and tagged forgiveness, Mark 2:1-13, Quanbeck on January 6, 2012 by Pastor John Keller.